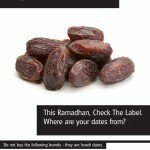 Ramadan is just around the corner and dates from illegally occupied lands will hit our supermarkets and independent retailers once again. It is up to us to boycott these dates and ensure that Supermarkets and retailers realise that there is no profit in these dates. Ramadhan is a time of year when we remember those who are less fortunate than ourselves. When we break our fasts with dates, it would be an affront to us all if the dates were the produce of illegal Israeli settlements built on land stolen from Palestinians. 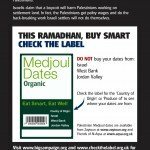 Israeli produced Medjoul dates are grown in the Jordan Valley within illegal Israeli settlements. They form a large part of the agricultural produce from these settlements which are then exported all over the world. 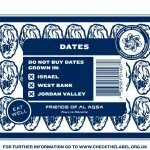 Buying these dates means that you are actually helping Israeli settlers steal Palestinian land. Israelis claim Palestinians are given jobs working on the land of these settlers and a boycott will harm them. In actual fact, these Palestinians are employed for paltry wages, to do the back-breaking work that the Israeli settlers will not do themselves. Settlers exploit Palestinian children, who are forced to miss out on their education and work long hours under the hot baking sun for small sums of money. 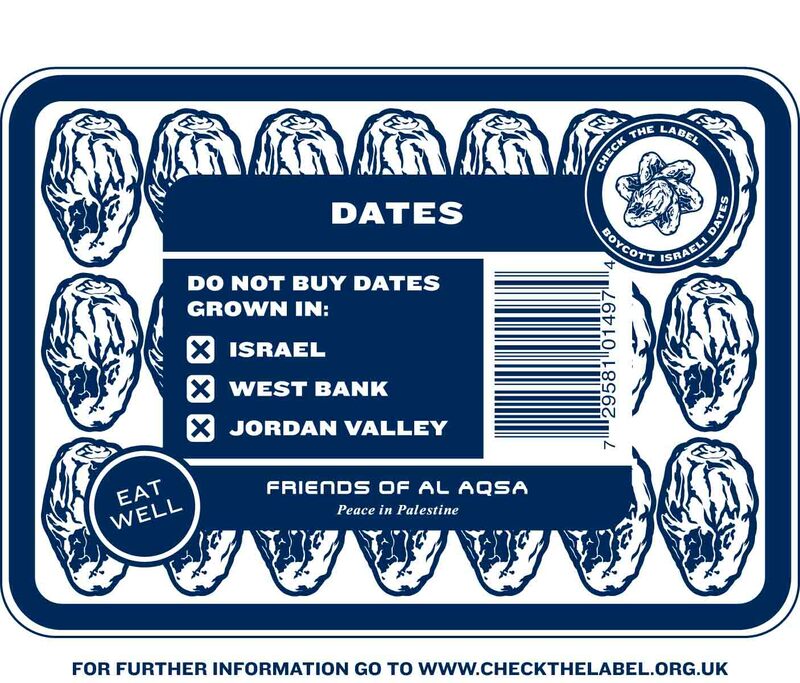 The price of settlement produced dates are cheaper compared to those produced by Palestinian farmers as a result. Settlement freeze – What settlement freeze?